Throughout this series, I have been dancing around the ugly truth of exactly how much user fees adds to the costs of flying in the EU. In part 6 of this series, Vincent Lambercy, a Swiss GA pilot, said he was quoted a landing fee of $845USD once to land during peak hours at London-Gatwick Airport. When I read that, alarm bells went off here at Airplanista’s HQ, so I wanted to dig further and see what I could uncover. What follows is just a taste of the complicated spider web of fees that GA pilots in the EU must pay. 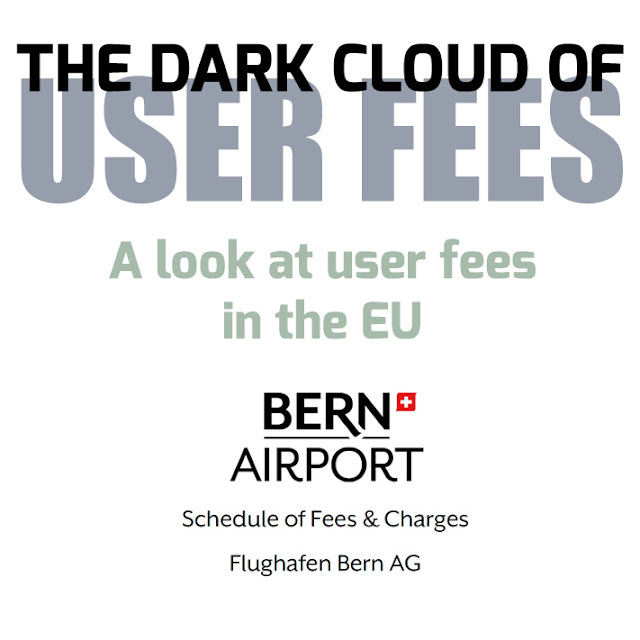 I will be examining the PDF fee documents of two Swiss airports, one in Geneva, and the other in Bern. Even though both are in Switzerland, Lambercy tells me these two airports are a good representation of the kinds of user fees GA pilots experience flying throughout the EU. I am told if I examined similar documents from any country’s airports, I’d find similar charges. In this part of the series, I will take a look at the “Schedule of Fees & Charges - Flughafen Bern AG” aka Bern Airport. Bern is a beautiful place to visit, I am told, and with a 2015 population of 131,554, it’s about the same size as Gainesville, Florida. Bern’s Airport, LSZB, is controlled, and has two runways, 14/32 is concrete and is 4,963' long while a smaller grass runway is 2,112' long. This is not going to be a critical analysis of every charge on Bern’s “Schedule of Fees and Charges” document (pdf). At 19 pages, it would take a long time to sift through it all. So I will just peruse it, and present some interesting/shocking tidbits I believe serves this series well. If you wish to read the entire Bern document, which you can download it here. In general, many of the following fees only apply to aircraft with a MTOW above “two tonnes” or 4,000 lbs. However, if you take the time to study this document, it will make your head hurt to figure out what is actually charged to what size of aircraft. 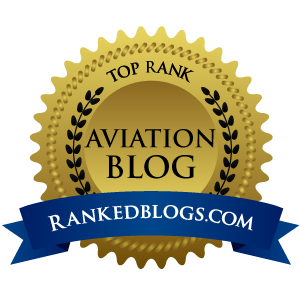 And while it is pretty easy to assume that typical GA aircraft will have far less fees because of their lower MTOW, the one thing that is crystal clear is this: If you are flying something with an MTOW over 4,000 lbs. user fees will apply to just about everything you do on every flight, and the bill will be very high. And if that ship is turbine (jet) powered and makes a lot of jet noise, better bring a fat wallet with you to the airport. Charges are to be paid, at the latest, immediately before the aircraft takes off. The airport operator may demand payment at any time. The airport operator may open an ongoing account for regular users of the airport. The airport operator reserves the right to impose special conditions. I calculated my old Cherokee 235 (2,900 lbs MTOW) and it fell into the 1,001-1,500 kg. category. If flying from another country (international arrival), landing at Bern would be $41.67, and a domestic arrival would be $32.55. Oh, and don’t forget to pay the 8% value-added tax (VAT). But if you’re flying a nice shiny new Pilatus PC-12NG – manufactured in country in Stans, Switzerland – with a MTOW of 4,740kg, expect to pay $170.35 to land an international flight at Bern, and $142.92 to land after that short hop over from Stans. The following is what has the good people at NBAA so worried about EU-style user fees coming to the U.S. If you are flying really big business jets like the Global Express 6000 into Bern, expect a landing charge of $963.08 for international arrivals and $762.60 for flights originating in Switzerland. That’s just to land! Add to that all the other charges for emissions, noise, passengers, parking, ground services and of course those notorious “approach safety charges” for shooting that ILS into LSZB. It is quite easy to see how the bill would be hard to swallow for even the fattest flight departments. So just south of $100 to go out and take three laps round the patch, doing a couple of T&Gs and return to a full-stop landing? 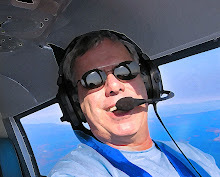 Imagine those kind of user fees charged over here, where going out to blast around the patch a few times is a common thing to keep a pilot’s skills sharp. If it cost us $100 every time we do that, I suspect less pilots would spend that money to stay sharp - with many losing currency, leading to less pilot proficiency, and increased risk. Stay tuned for the next part of this series when I get down and dirty with the June, 2017 version of the “Tariffs” document for Geneva, Swizerland’s Airport (LSGG). At 42-pages long, it’s going to take some serious perusing to even begin to understand what they might charge to fly in there. And think about this: If every airport has long, complex fee schedule documents like these, imagine how ridiculously hard flight planning would be? Forget having a First Officer in the right seat. Leave that place open for the onboard Accountant you will need to help you calculate just what flying in the EU will really cost. This, my flying friends, is a system we must never let take hold in the United States. Ever.